Today, many people are looking for an alternative, non-prescription Phentermine, diet pill, which will act in a combined way in order to make them lose weight fast and successfully. Fedramine claims to be such a pill that promises to work on many levels simultaneously. Fedramine acts as an appetite suppressant and a calorie burner because it can both increase the body’s metabolic rate and raise the body’s energy levels at the same time. Fedramine originated in the United States – and we have to mention this due to the fact that the American marketing strategy is always pumping up the value of products, whether worthwhile or not. We also mention the product’s origin as supplies sent to the UK are somewhat more expensive due to shipping costs. As for the product itself, while Fedramine is a non-prescription diet pill, its manufacturers imply that it has similarities with the prescription-only Phentermine. However, one can easily understand by reading the ingredient list, that the two products are quite different. Chromium (Chloride) is an important mineral that can improve the action of the insulin in the blood. This also improves the way lipids, carbohydrates and protein are metabolised. Citrus Aurantium is a very effective fat-burning substance which can also help increase the energy of the body. Green Tea, which is a rich source of antioxidants, can increase metabolism, lower cholesterol levels and provide your body with energy. Guarana is known for its caffeine-like properties. 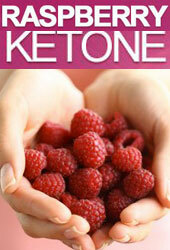 It is a mild stimulant that can help your body feel more energetic and burn more of its stored fat. Metabromine, which is derived from the cocoa tree, is also a mild stimulant that can give your body extra energy. White Willow Bark can give you an overall feeling of wellness. Manganese is an essential mineral for the well being of the body. Vitamin B12 helps the body process proteins, fats and carbohydrates. Because of its powerful ingredients, Fedramine has been designed for short-term use only. It will help your body become more energetic and burn more calories while it will help suppress your appetite so that you can eat less. Does Fedramine have side effects? As is common with all energy boosters, restlessness, insomnia, headaches are some possible side effects for some people. This product does work in increasing the calorie burn rate, as well as increasing the body energy, but it should be noted that its use is not advisable to be extended for long. Fedramine seems to be an effective diet pill, but according to its manufacturers, it cannot be used for long periods of time. 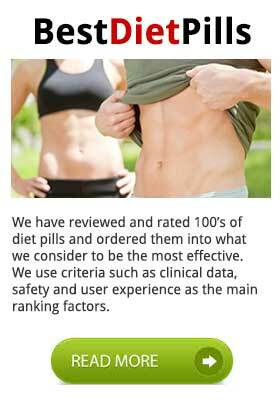 We can recommend it to potential buyers who have only a few pounds to shed, but it does not seem to be the right pill for severely overweight or obese people who need a diet pill for long-term use. It is for this reason that we cannot really endorse Fedramine. Besides, there are other pills which can be bought in the UK instead of having to be shipped directly from the United States with extra costs associated. One more negative point is that the product does not come with a full-refund guarantee in case it does not prove effective for you. 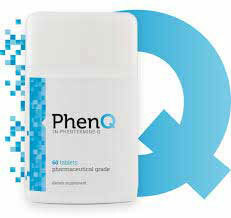 With the highest rate or re-orders, the highest number of successful dieters and guaranteed results PhenQ has proved to be the most powerful and the most effective fat burner on the market.